Doug Alderson’s Wild Florida Waters: Exploring the Sunshine State by Kayak and Canoe takes us on an amazing journey down miles of winding rivers. Alderson has a gift for making readers feel immersed in the scent of muddy bottoms, enthralled by the cries of limpkins, and calmed by paddles slurping through shallows. We’ve come to expect up-close views of the natural world from the author’s award-winning writing, such as New Dawn for the Kissimmee River, Waters Less Traveled, Seminole Freedom, and Endangered Wildlife. 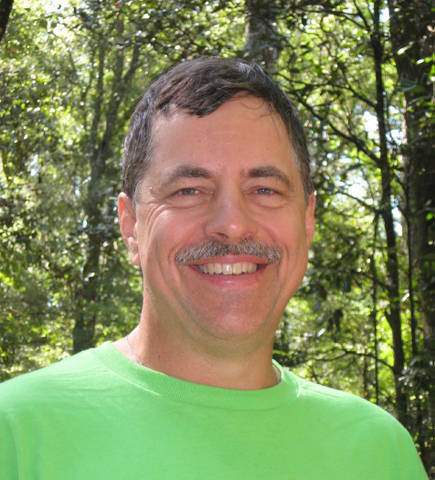 Alderson is the former associate editor of Florida Wildlife magazine. He has also worked as a lobbyist for environmental groups and as a naturalist for the Tallahassee Museum of History and Natural Science. In between jobs, he has hiked the entire Appalachian Trail, coordinated a walk across the United States from coast to coast, and backpacked across Europe. “Some people yearn to hear great symphonies in their heads and compose great music,” Alderson tells us in Wild Florida Waters. “I yearn to hear a great river and listen to its stories.” He shares some of those stories with those fortunate enough to read this book. 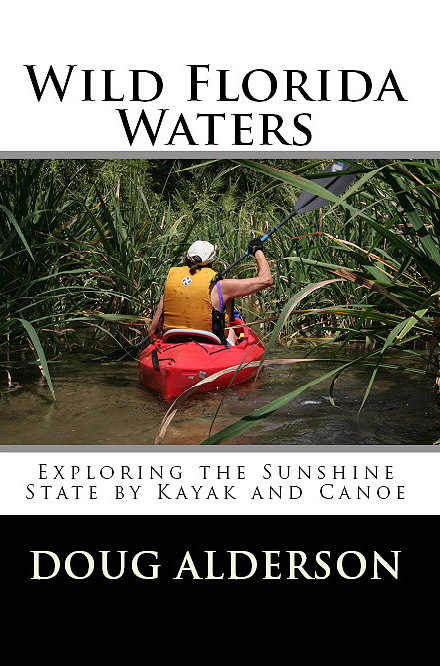 Wild Florida Waters mixes Alderson’s personal adventures paddling down Florida’s rivers with intriguing bits of history from each area, stories of the colorful people he meets along the way, and tips for those who want to explore the water themselves. He details how to get to the best launch areas, what type of rental equipment is nearby, and where to find maps of the rivers before you set out. He provides valuable trip-planning information about fluctuating water levels and tides, as well as about the best seasons to paddle specific rivers. Each chapter is devoted to one paddle trip. In North Florida, Alderson covers the Econfina, Apalachicola, Sopchoppy, St. Marks, Ochlochonee, Forgotten Coast, Wacissa, and lower Aucilla Rivers, as well as Clear Lake and Mud Swamp and Apalachee Bay. He also shares tales from the Suwannee, Withlacoochee, Ichetucknee, Wekiva, Blues Spring State Park, Pithlachascotee, Kissimmee, Loxahatchee, Pelican Island, and Thousand Islands trips, among others. This is not your typical dry travel guide. Instead, we shiver as Alderson encounters a six-foot rattlesnake, hold our breath when his canoe flips over in the shoals, and take pride in our fellow citizens who successfully rally to prevent further bottling of Florida’s water. Alderson’s self-deprecating humor peeks through as he relates his first-ever visit to a Hooters restaurant at the end of one paddling trip, an occasion that made him feel “like a fifty-year-old virgin in a cathouse.” He introduces us to local characters like Trapper Nelson, “the wild man of Loxahatchee” who greets guests with an eight-foot indigo snake wrapped around his neck; and David and Becky Ziegler who catch their own food, including deer, squirrel, shrimp, crabs, and “road kills if they’re fresh.” In the 1930s Marjorie Kinnan Rawlings often stayed on the Zieglers’ property to write. Alderson also describes a paddle trip with his teenage daughter, who was, at first, more interested in tripping out to the mall. The chapter ends with suggestions for others brave enough to accompany young people to wild places. At the end of another chapter he offers the pros and cons of canoeing and kayaking versus motor boat traveling. Serious paddlers will be interested in learning about the 1,515-mile Florida Circumnavigational Saltwater Paddling Trail that the author helped to map over a three-year period for the State Department of Greenways and Trails. He spent three days accompanying Matt Keene on the last leg of a trip that consumed three months. Keene was the first person to tackle the entire trail as a thru-paddle. One chapter is devoted to the annual “Paddle Florida” adventure on the Ochlockonee River, which offers people an opportunity to travel a river with a large group. Guides, port-a-potties, catered food and musical entertainment are part of the package. Black and white photos of varying quality illustrate the book and take readers one step further toward being out there in the wild. Permeating everything Alderson writes is the inner peace he finds while engaging with Old Florida the way paleo-Indians might have known it centuries ago. It’s a peace he encourages us to find as well. This entertaining guidebook might be just the place to start, whether you choose to take the journey vicariously from your armchair, or venture forth onto Florida’s wild waters yourself. This looks great. I will be buying this for my dad for his birthday – he’s a canoe enthusiast in Florida. Excellent book. I am reading it now. Great stories that give describe the natural surroundings but also give history, color and insight into Florida’s waters. Makes me want to go kayaking in FL!